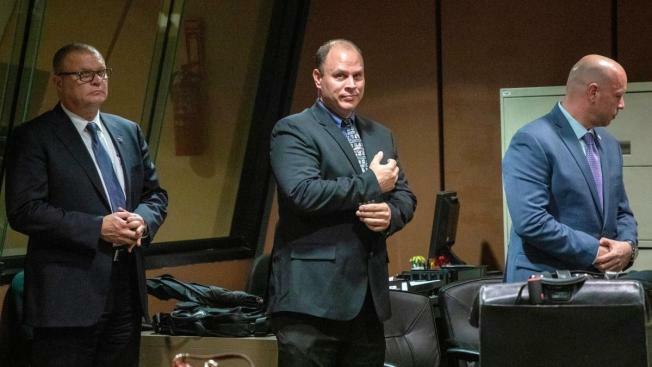 Arguing for their clients to be acquitted, defense attorneys for three Chicago police officers accused of conspiracy attempted to turn the tables on prosecutors, doubling down on their original contentions that teenager LaQuan McDonald posed a threat the night he was shot and killed. March was likewise accused of portraying McDonald as a violent assailant in his final report, in a manner which was not supported by a well-publicized dashcam video. The officers did not take the stand and their lawyers offered minimal defense. But when it came time to close out their case, all argued that their clients’ statements on the forms were accurate and should not be held against them. Breen argued that Walsh, partner of officer Jason Van Dyke who fired the fatal shots, had been part of what remains a frightening encounter. Attorney William Fahy noted his client had been commended for his actions, a block from the shooting scene, where McDonald stabbed the tire on his squad car. “How can he possibly be a co-conspirator?” Fahy asked. Prosecutor Ron Safer answered that Gaffney had filled out his report referring to 3 battered officers and the same description of McDonald likely causing death or bodily harm. Safer argued that he should have stuck to the facts of his own encounter with the teen. Detective March arrived after the fact. But Safer questioned why his report told the story of an assault by McDonald, instead of a homicide by a police officer. The judge said she would announce her ruling on the case Dec. 19, at 3 p.m.